The one thousand likes we now have on Facebook are a magnificent milestone for Parkinson’s Women Support as we keep our collective eyes fixed on sharing research and information about Parkinson’s disease. Treatment choices are improving, and research is inching forward. In the meantime, the joy and recovery from frustration of the news, the shared events and classes, our get-togethers, and the conferences we attend are enhanced when we do them together. We started out as a small handful of women and now we’re reaching out to women globally. Imagine the power of our 1,000 voices informing society about our chronic disease. That’s a lot of chat going on, even if our voices may be soft and slow. In the months ahead, Parkinson’s Women Support will carry on with encouragement, camaraderie and compassion for women with Parkinson’s disease. We’re thrilled about the new support groups forming and other initiatives in the planning stages. 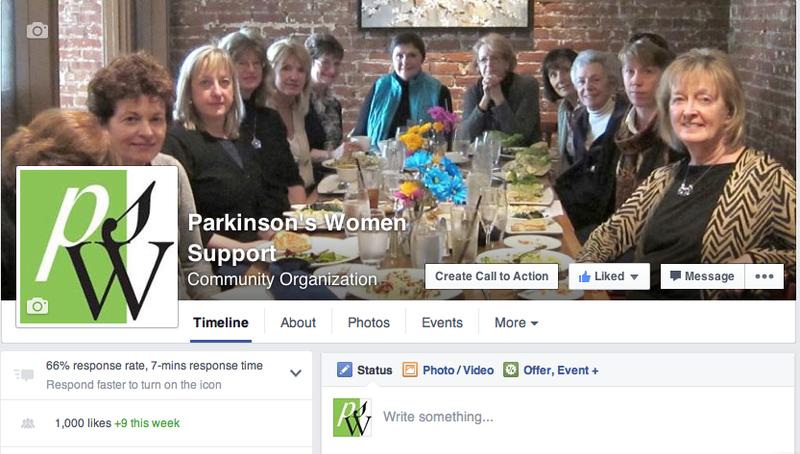 Judging from the women we’ve met, we’re excited because women with Parkinson’s disease are a quite a bunch!